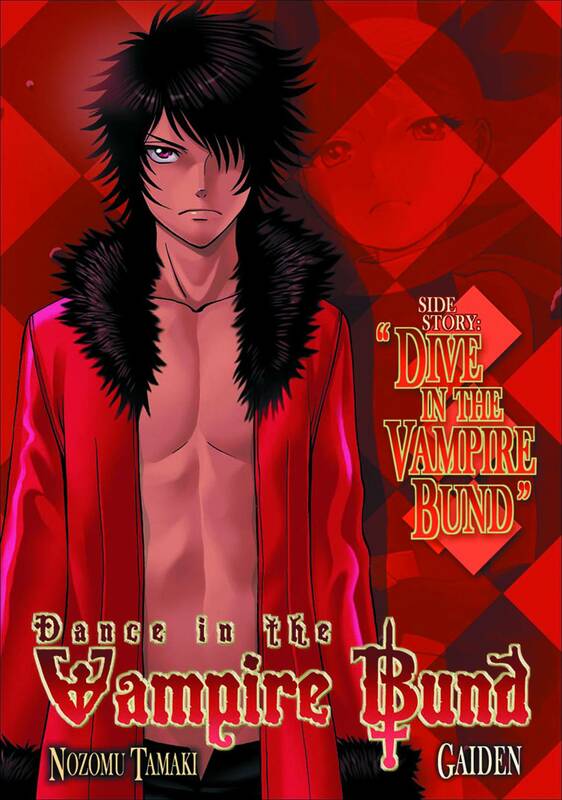 The Vampire Bund, a peaceful island nation of vampires off the coast of Tokyo, ruled by Princess Mina Tepes, has seen its share of conflict and turmoil. And yet there are times of relative tranquility when the Bund is a popular tourist destination during daylight hours. When two teenage tourists, Garcia Fujisaki and his reckless best friend Masaki, ditch their group to find a vampire who will turn Masaki, it's Garcia who accidentally pays the price. The only hope for a cure to his newfound vampirism is for the teens to team up with the stoic Akira Kaburagi, Princess Mina's loyal lycanthrope bodyguard, in pursuit of the one person who holds the key to Garcia's salvation.